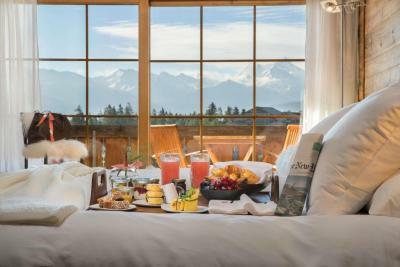 Hotel Hostellerie du Pas de l'Ours "Relais et Chateaux"
Hostellerie du Pas de l'Ours "Relais et Chateaux"
Lock in a great price for Hostellerie du Pas de l'Ours "Relais et Chateaux" - rated 9.1 by recent guests. Remy is an absolute star from the time you arrive! We felt so welcome as soon as we walked in and he helped us find our way around the resorts bars and restuarants, as well as the hotel itself. The bed was superb and the space across our two areas within the room was sumptuous! The balconies were excellent and the view stunning! We ate at both the brasserie in the hotel and their rotisserie which is a 20 minute stroll into the village, both were excellent, indeed we have not enjoyed our food more for many years! Exceptional staff,helpful,polite and friendly. 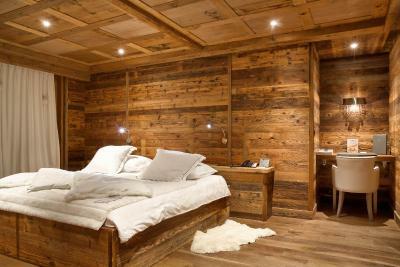 Very nice wooden building,with “warmth” and a cosy feeling everywhere. Sheets were changed daily,cleaning staff was efficient and excellent. Complimentary transfer to and from the lifts and any other location we requested was provided instantly and with a smile. 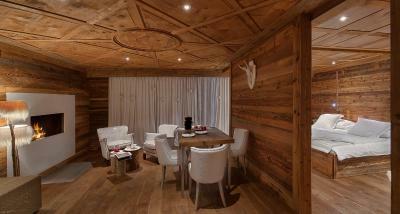 Very comfortable room, and here was best hotel for my swizterland life. And the employees are very kind and professional. I seriously recommand this hotel! 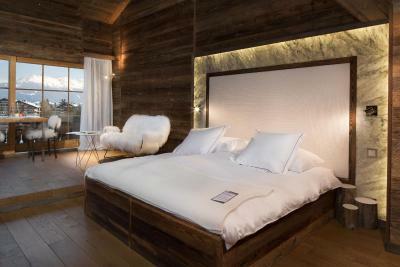 Beautiful boutique hotel with incredibly helpful staff, gave us an upgrade because we had just hiked over the pass from Gstaad the day before and we were exhausted. The Michelin restaurant was also a mind-blowing experience. Personnel attentif , service personnalisé , grande disponibilité , tout est fait pour un séjour excellent . Bistrot parfait. 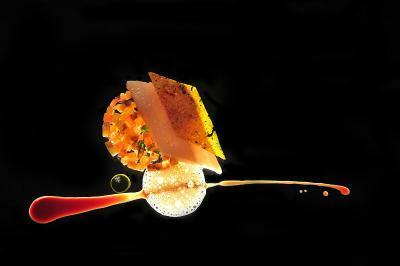 Cuisine soignée . Très bon. Incroyablement magnifique. Aucun mot pour décrire l’accueil, l’hôtel et surtout le personnel! Tout était parfait! Les prix vale toute à fait la peine quand on voit tout le service derrière. Le personnel sont au petit soin et n’hésite pas à vous donner les meilleurs plans! 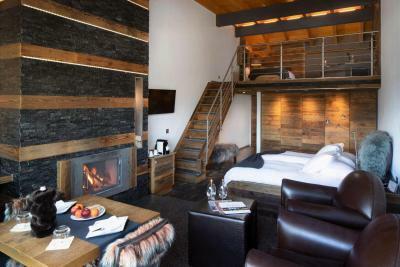 L’emplacement est parfait pour les activités de saison d’hiver : stations de ski, paintball et j’en passe ! En amoureux nous avons passer un excellent séjour et nous nous réjouissons déjà de revenir. Le SPA Wellness est excellent, propre et surtout silencieux tout de quoi se détendre. 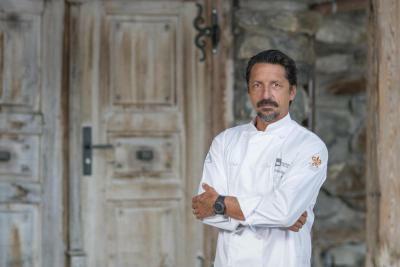 Et je ne parle pas de le grand chef cuisto ! 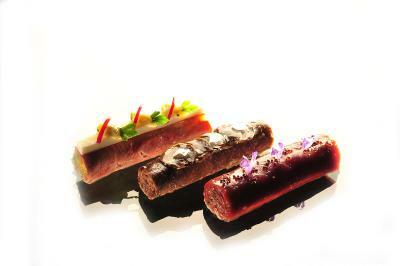 QUE DE BON PLAT ! HÂTE HÂTE HÂTE DE REVENIR !!! 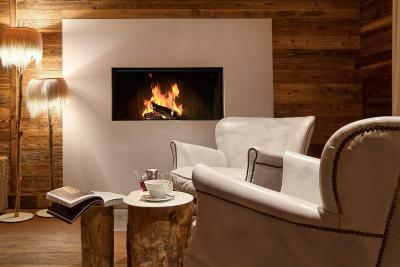 Get the celebrity treatment with world-class service at Hostellerie du Pas de l'Ours "Relais et Chateaux"
Behind the traditional facade of the Hostellerie du Pas de l'Ours in Crans Montana you find walls of natural stone, exposed wooden beams and open fireplaces. All rooms are spacious and enchant with their traditional charm. 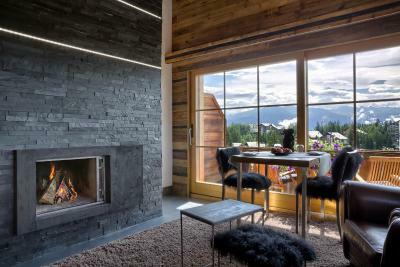 The suites even feature their own fireplace and a jacuzzi and have south-facing balconies. 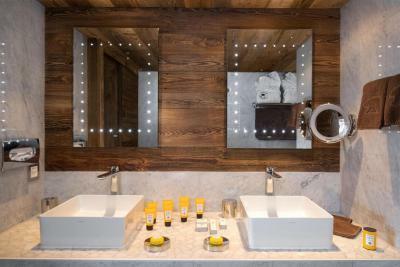 The Spa l'Alpage includes a large swimming pool, up-to-date fitness facilities and various treatment rooms. In summer an outdoor swimming pool invites you to unwind under the warm sun. 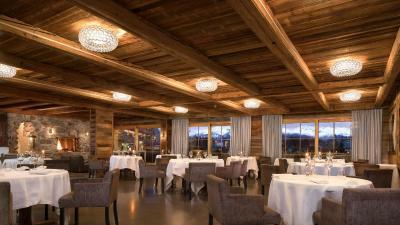 Gourmet cuisine is served in the elegant restaurant of the Pas de L'Ours hotel. You can park your car for free on site. 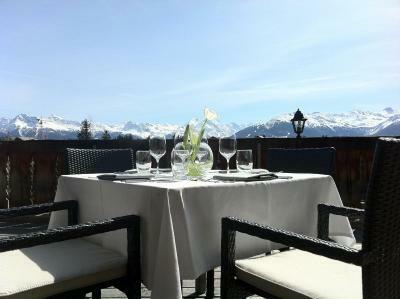 This is our guests' favourite part of Crans-Montana, according to independent reviews. 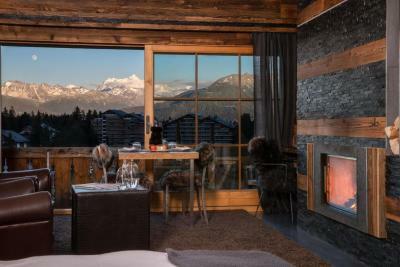 This property is also rated for the best value in Crans-Montana! Guests are getting more for their money when compared to other properties in this city. 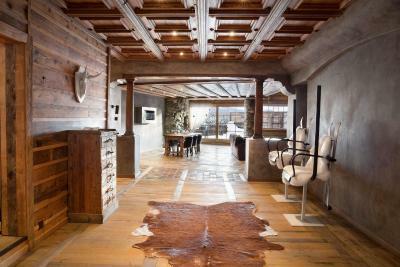 Hostellerie du Pas de l'Ours "Relais et Chateaux" has been welcoming Booking.com guests since 4 Jan 2010. 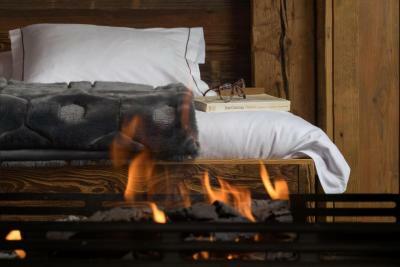 When would you like to stay at Hostellerie du Pas de l'Ours "Relais et Chateaux"? 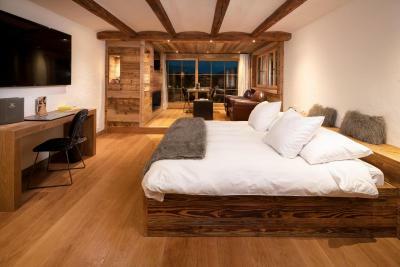 Spacious room with a south-facing balcony, a fireplace and a spa bath. Please note that 1 child up to 2 years can sleep in the parents’ bed for free. 2-floor suite with a sleeping gallery for the kids, a south-facing balcony, a fireplace and a spa bath. Please note that 2 children up to 2 years can sleep in this room for free. 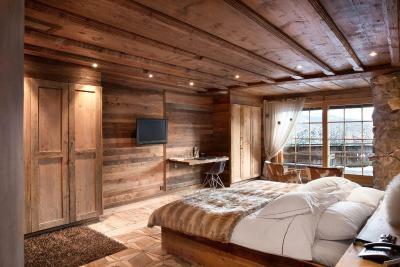 This wood-panelled room is north-facing, towards the street, and offers a private shower and toilet. 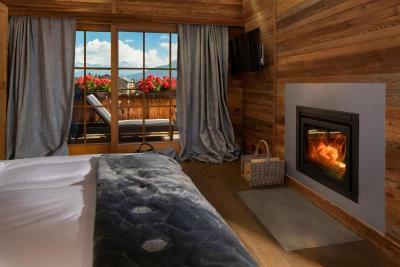 Spacious room with a south-facing balcony overlooking the Alps, a living room with a fireplace and a flat-screen TV, and a bathroom with a spa bath. 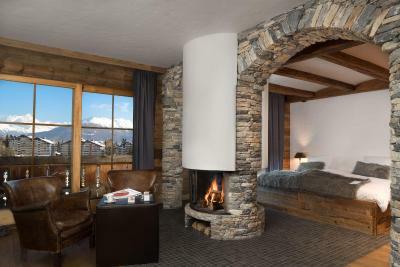 Spacious room with a south-facing balcony overlooking the Alps, a living room with a fireplace and a flat-screen TV, and a bathroom with a spa bath. It features interconnecting doors to a double room. 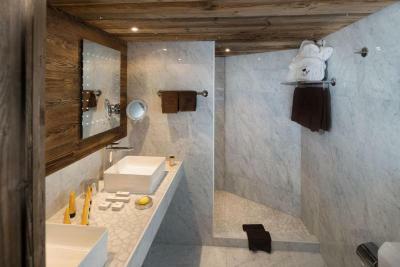 Large suite with a south-facing terrace overlooking the mountains, a large living room with a fireplace and a flat-screen TV, 2 bedrooms with a shower, and 1 bedroom with a south-facing balcony and a bathroom with a spa bath. 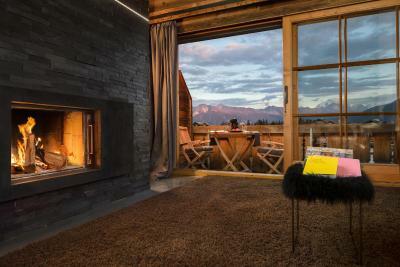 Spacious room with a balcony overlooking the mountains, a living room with a fireplace and a flat-screen TV, and a bathroom with a spa bath. 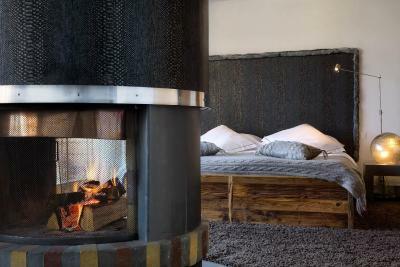 Spacious room with a south-facing balcony overlooking the mountain, a fireplace, a flat-screen TV, and a bathroom with a spa bath. 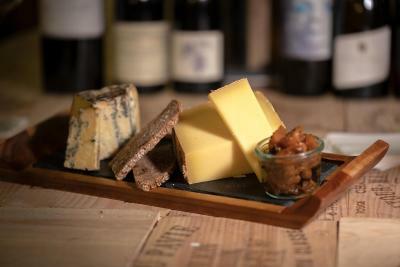 4 reasons to choose Hostellerie du Pas de l'Ours "Relais et Chateaux"
House rules Hostellerie du Pas de l'Ours "Relais et Chateaux" takes special requests - add in the next step! Free! One child from 0 to 2 years stays free of charge in a child's cot/crib. 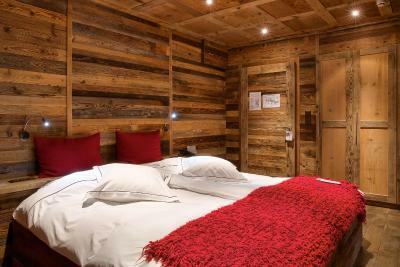 One older child or adult is charged CHF 150 per person per night in an extra bed. 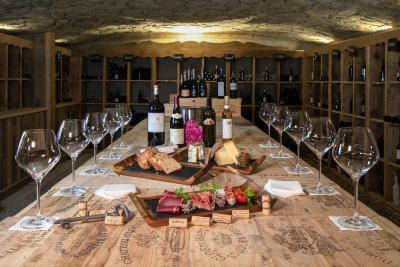 Hostellerie du Pas de l&#39;Ours &quot;Relais et Chateaux&quot; accepts these cards and reserves the right to temporarily hold an amount prior to arrival. 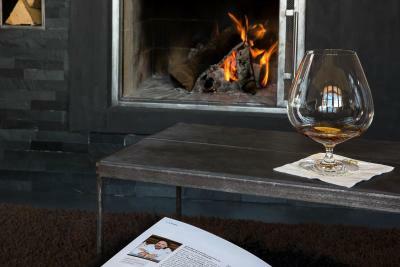 Hostellerie du Pas de l'Ours "Relais et Chateaux" accepts these cards and reserves the right to temporarily hold an amount prior to arrival. 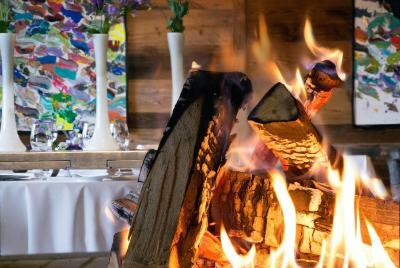 See all guest reviews for Hostellerie du Pas de l'Ours "Relais et Chateaux"
Newest reviews for Hostellerie du Pas de l'Ours "Relais et Chateaux"
Breakfast doesn't live up to the rest of our culinary experience at this hotel but was ok. The little details in the room were slightly disappointing, plugs for charging things, writing materials, lighting around the bathroom mirror (weird) and mirrors in general? Wouldn't stop us staying again or indeed choosing the same room, only mentioning these things as I think the staff and owners here will react as they love what they do! 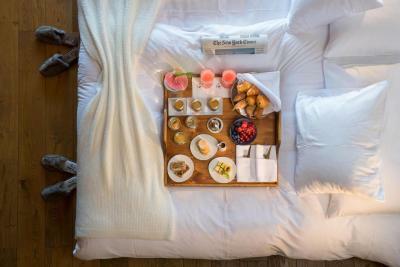 Breakfast was on an a la carte basis,thus having some problems with time,although the personalized feeling was good.We would have prefered a nice boufet with the basics and the a la carte option for the special requests. I would not suggest the hotel for families with small children,since there are no facilities to keep them busy.It is rather a couples hotel. not much other than restaurant. Our room was somewhat cold because of the cold winds, but the staff did all they could to warm up the room! Wonderful hotel atmosphere. Everyone was very helpful, nice and accommodating. We very much appreciated the loft upgrade and enjoyed the room very much. Breakfast was superb with exceptional scrambled eggs. We will look forward to coming again. can't think of anything, and that's saying something!